We got our first glimpse of Okkervil River's I Am Very Far back in January, when the band announced the album during their appearance on Late Night with Jimmy Fallon. The months that followed brought us singles and tour announcements, and now we can finally listen to the new record in full. A press release describes the 11-song set as "terrifying and joyous, violent and serene, grotesque and romantic," and you can listen for yourself in the stream below. The album is the follow-up to 2008's The Stand Ins, making this the longest break between Okkervil River albums. The delay was likely due to the fact that the band spent 2010 backing Roky Erickson on his LP True Love Cast Out All Evil. Okkervil River frontman Will Sheff self-produced the record, with a series of whirlwind sessions taking place in various studios. In a statement, Sheff explained, "I produced it myself so that I could extend the songwriting process all the way through to the very last second of recording, so the songs would never really stop changing." Of the lyrics, he said, "I kept trying to write from the state of mind of someone who had just been born, that feeling of being very young and being aware of not existing before a certain moment, which is a feeling I remember having as a kid." I Am Very Far will arrive in stores on May 10 via Jagjaguwar, but you can check the record out now, as it will be streaming all week here at Exclaim.ca in the player below. But be sure to listen now, since it will only be available until May 9. Also, head here to read Exclaim! 's newly published feature on the band. 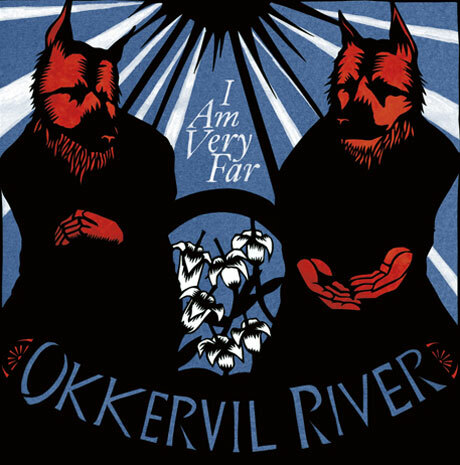 And if you like what you hear, head to Okkervil River's official site to pick up the deluxe edition of the album, which includes a double LP, CD, seven-inch single with demos, hardcover lyrics book, artwork cards, signed letter from Sheff, and more. UPDATE: This stream is no longer available.